Yellowstone is perhaps the most popular destination visited by Photoventures as it offers such a wonderful array of photographic interest. With all our visits, we offer a mix of photographic locations and opportunities centred around this the greatest of all National Parks. This tour is no exception to that rule as in addition to the time spent in the park, Photoventures has added a real treat. On this tour, we will be joining a famous Yellowstone photographer to photograph with him in the Beartooth Mountains. 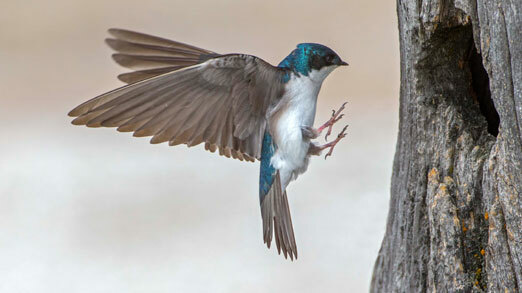 Here we hope to be able to photograph a variety of birds at the nest, including woodpeckers, flickers, swallows, wrens, bluebirds and possibly owls. In addition to this there is also a wide range rodents and mammals, including ground squirrels, marmots, pika, bears, coyote, elk, moose, bison, mule deer and mountain goats. We also hope to include a visit to the West Yellowstone Rodeo, a real part of the old west. 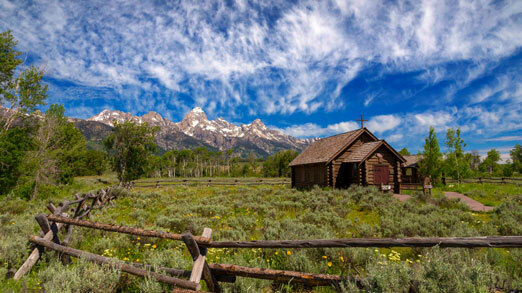 Our tour is timed to see Yellowstone and the Grand Teton National Parks resplendent with the carpets of spring flowers and wildlife preparing for the summer months. The tour will begin in Jackson Hole with time to explore the spring meadows as well as the many other attractions of the majestic valley. From here we journey north into the heart of Yellowstone to visit this amazing park. Our visit is timed for the emergence of spring. Not only will we be able to explore the fabulous thermal features, we can also see the carpets of spring flowers, new born bison calves as well as elk and moose in their velvet. This area will allow us to visit many great locations including Fountain Paintpots, Old Faithful, The Upper Geyser Basin, Norris, The Grand Prismatic Spring, Black Sand Basin and of course the famous Tangled Creek. There will be ample time to photograph at these locations and many others and enjoy the spring beauty to the full. Having thoroughly explored the central part of Yellowstone we will travel north to Gardiner for our visit to Mammoth Hot Springs. 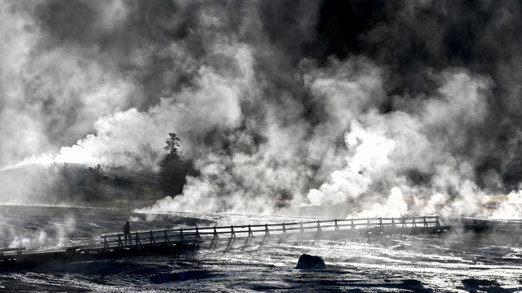 The Mammoth area is set on a limestone plateau and creates some of the most interesting thermal features to be found in Yellowstone. We then continue through the Lamar Valley to Cooke City for our visit with the famous wildlife photographer. Here we spend the next three days in the wild woods of the Beartooth Mountains photographing the birds and other wildlife. We then return to Jackson Hole through Yellowstone for the completion of our tour. Still time to enjoy the splendid Hayden Valley and majesty of the Grand Teton National Park as we journey south.